Perhaps the most valuable take-away for summit attendees were the new personal connections forged during the event. Held at the Time Warner Center in New York City, participants were able to network, socialize, and engage in presentations that touch upon vital topics in entrepreneurship and diversity. Keynote speeches were delivered by Gene Waddy,CEO of DIVERSANT LLC; Tiffany Pham, Founder & CEO of MOGUL; Aisha Bowe, Co-Founder & CEO of STEMBoard; Bill Evans, President of Current Staffing Solutions and Michelle Van Otten, Founder and Managing Director of Profit Ventures, LLC. Ben-Saba Hasan, SVP Chief Culture, Diversity & Inclusion Officer at Walmart rounded up the mid afternoon with a luncheon keynote. The day rounded out with an invigorating chief diversity officer panel forum discussion which was represented by some of the world�s most formidable diversity leaders which include: Jerrell Moore, VP & Chief Diversity Officer of Time Warner Cable; Elizabeth Nieto, SVP, Global Chief Diversity & Inclusion Officer of MetLife; Michael Garner, Chief Diversity Officer of Metropolitan Transportation Authority; Donna Johnson, Chief Diversity Officer of MasterCard and Kenneth Hunter, Chief Diversity and Inclusion & EEO Officer of NYC Department of Information Technology. Jennifer Brown, Founder and CEO of Jennifer Brown Consulting served as moderator. This year's attendance featured a strong mix of business owners, Fortune 500 executives, educational practitioners and senior level government officials. The Div50 is a listing of the top 50 corporate and organizational buyers of diversity products and services throughout the country. It represents the voices of over 1,500,000 diversity-owned businesses in the U.S. , in sectors such as technology, manufacturing, food service and professional services. The Div50 is produced annually by DiversityBusiness.com, the nation's leading multicultural B2B Internet portal that links large organizational buyers to multicultural product and service suppliers. Over 1,500,000 women and diverse-owned businesses had the opportunity to vote in the 2016 online election. 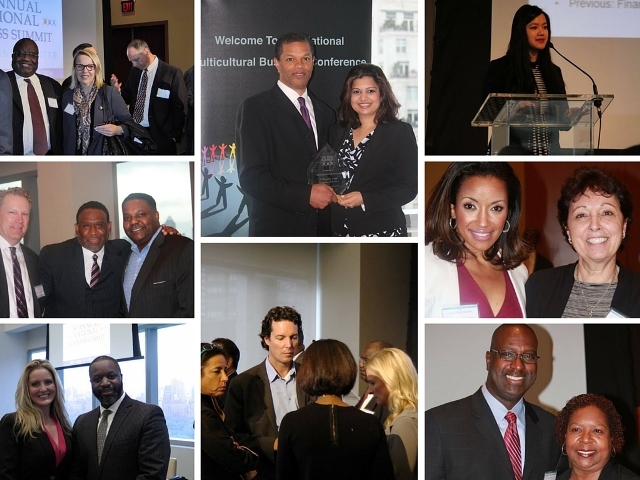 A complete list of the winners is available at: www.DiversityBusiness.com/Div50.